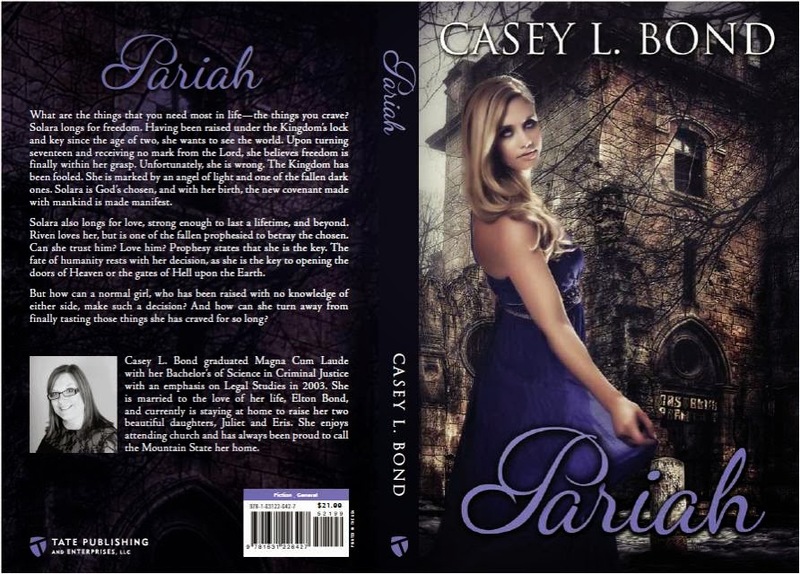 I'm so excited to participate in Casey L. Bond's cover reveal today for her newest release PARIAH! The cover is gorgeous and I was lucky enough to snag an ARC that I can't wait to start. Congratulations Casey! What are the things that you need most in life—the things you crave? Solara longs for freedom. Having been raised under the Kingdom’s lock and key since the age of two, she wants to see the world. Upon turning seventeen and receiving no mark from the Lord, she believes freedom is finally within her grasp. Unfortunately, she is wrong. The Kingdom has been fooled. She is marked by an angel of light and one of the fallen dark ones. Solara is God’s chosen, and with her birth, the new covenant made with mankind is made manifest. Solara also longs for love, strong enough to last a lifetime, and beyond. Riven loves her. But is one of the fallen prophesied to betray the chosen. Can she trust him? Love him? Prophesy states that she is the key. The fate of humanity rests with her decision. She alone will determine whether the doors of Heaven or the gates of Hell open upon the Earth. But how can a normal girl, who has been raised with no knowledge of either side, make such a decision? And how can she turn away from finally tasting those things she has craved for so long. 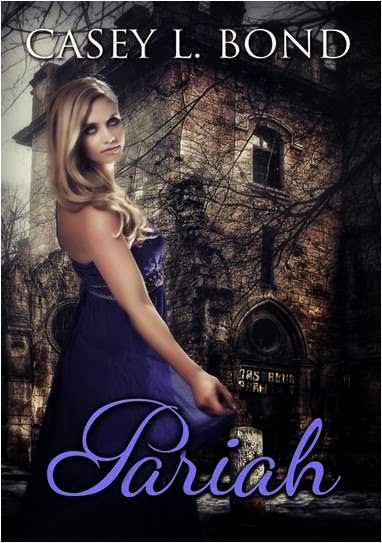 Add Pariah to your reading list!